Philip M. Taylor is an Associate in the Litigation & Alternative Dispute Resolution Practice Group, with a focus on commercial litigation and intellectual property disputes. His experience includes trials, document discovery, depositions, motion practice, and appellate research and writing in connection with matters in state and federal courts in New York, New Jersey, and other jurisdictions. He has also represented both plaintiffs and defendants, in cases involving real estate disputes and land use litigation, breach of contract, breach of fiduciary duty, and shareholder disputes. Represented a large, multinational consumer electronics company in connection with litigation challenging its variance approvals to construct a new North American headquarters. 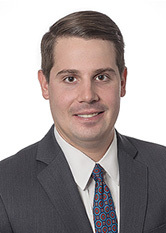 Prosecuted an action on behalf of a Northern New Jersey hospital in connection with its claims that a competitor was infringing its trademarks, obtaining injunctive relief after a favorable verdict at trial. Phil previously served as law clerk to the Honorable Kenneth J. Slomienski, New Jersey Superior Court, Law Division, Bergen County. While at Fordham University School of Law, he served as an Associate Editor of the Fordham International Law Journal and was also the recipient of the Archibald R. Murray Public Service Award. He is also a graduate of the Justice Morris Pashman American Inn of Court.